According to CSP Today Global Tracker, October 3, 2016, of the 17 commercial-scale projects that are currently being built in the world, 15 include TES (Thermal Storage Systems). 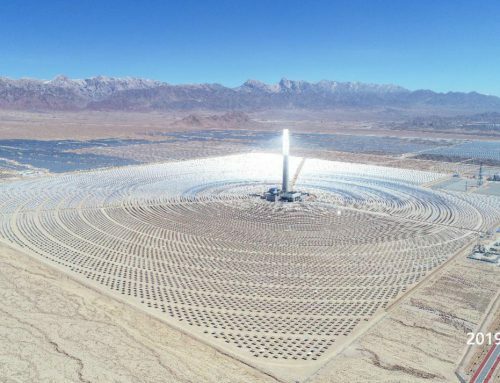 It is estimated that some 13 GWh of thermal energy storage (TES), based almost exclusively on molten salts, was operational in relation to the CSP plants in the five continents at the end of 2017, according to Ren21 Global Status Report 2018, in the section Concentrating Solar Thermal Power (CSP). The data that follows are also extracted from the report of Ren21, Renewables 2018, cited above. For the second year in a row, the new capacity was limited to emerging markets. Parabolic and tower cylinder technologies continue to dominate the market, with approximately 0.9 GW of cylinder systems and 0.8 GW of tower systems, under construction at the end of 2017. In addition, the Fresnel plants, with a total of approximately 0.1 GW, were in different stages of construction, mainly in China, but also small plants in France and India. As reported by the T-Solar Group, on March 26 of this year, the management portfolio incorporated two new solar thermal plants that: «use parabolic trough technology (without molten salt storage) and is composed of the Morón project in Seville of 50 megawatts and the Olivenza project of 50 megawatts in Badajoz. (web link T-Solar). Since the beginning of its operation in 2012, the two plants have contributed more than 200 GW / hour per year to the network, which is equivalent to the annual consumption of approximately 160,320 inhabitants «. Apparently, we would have different types of solar thermal technology devices, which may or may not include storage systems (TES). a) The parabolic trough collectors. PTC for its acronym in English. Already described above. According to CSP Today Oct 3, 2016, parabolic-trough system developers are currently experimenting with HTF (Heat Transfer Fluid) from molten salts to increase working temperatures, so new developments could reduce the advantage of storage systems. of tower «. b) Storage towers with molten salts (usually molten mixture of Sodium Nitrate and Potassium Nitrate). They are also called Central Receiver Plants (CR) in English. They use Heliostats. c) Solar concentration technology called ‘Fresnel Linear Concentrator’ (LFR) according to the acronym in English. For CSP Today 3 Sep 2012, «the linear Fresnel is a technology with a similar approach to the parabolic cylinder in that it consists of reflectors that follow the sun on an axis and focus the radiation of the rays on receiver tubes by which a liquid flows. The difference is that the Fresnel uses several slightly curved or long and flat mirrors located on the floor, and the receiver tube rises above the mirrors and is fixed. The fact of using this variety of receivers supposes that the capital costs are lower than those of a plant with traditional parabolic trough technology «. BY COUNTRY, according to Ren 21 Renewables 2018, report from which we extracted the data. For the second year in a row, South Africa leads the market in new additions in 2017, being the only country to carry CSP capacity online. South Africa commissioned 100 MW during the year (2017), increasing the total capacity by 50% to 300 MW. More than 200 MW were under construction at the end of the year. 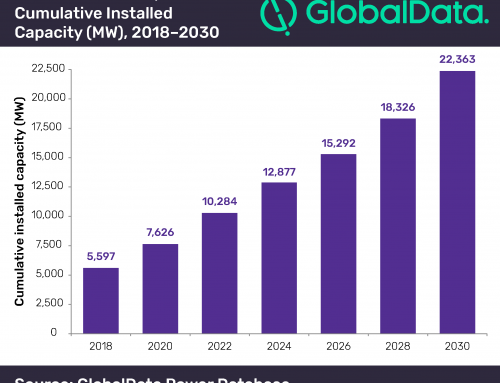 The CSP market in China continued to gain momentum with the announcement of 20 projects – including parabolic trough, tower and Fresnel installations – with a combined capacity of 1 GW. Although not all are expected to be built immediately, five projects totaling 300 MW point to a commercial operation before the end of 2018. India was the only other Asian country with CSP capacity under construction at the end of 2017, with the 14 MW Dadri Integrated Solar Combined-Cyclevi plant. It is expected to start operating in 2018. Two of the largest plants of this type were in Morocco, where the installation of 200 MW Noor II entered the final stage of construction during the year and commissioning started in early 2018. The adjacent plant 150 MW Noor III It was also in an advanced stage of construction at the end of the year. Once both plants are in operation, the total capacity of Morocco will exceed 0.5 GW. The installation of the 121 MW Ashalim Plot B tower should begin operations in 2018. The plant is located near the 110 MW Ashalim Plot A, a parabolic trough installation, which was also under construction during 2017. Construction continued on the 43 MW ISCC Duba 1 facility and the 50 MW Waad al Shamal ISCC facility. Kuwait’s 50 MW Shagaya plant also made progress during 2017. 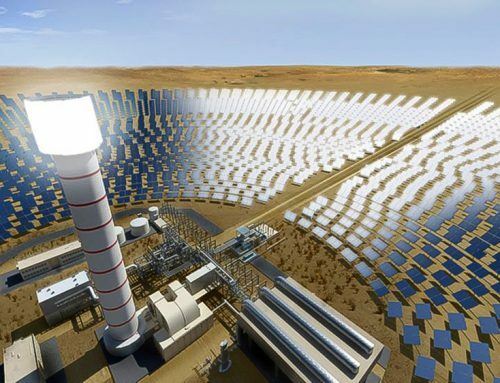 In the UAE, a CSP tender was awarded, expecting it to be the world’s largest thermosolar facility when it is completed. 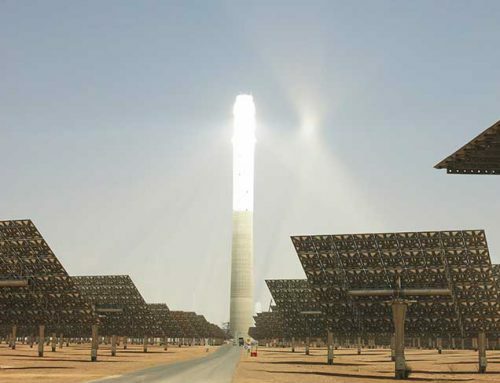 The 700 MW thermosolar plant at the Mohammed bin Rashid Al Maktoum Solar Park (Phase III) was designed to incorporate a 260-meter long solar tower with parabolic trough capacity and commissioning is expected in 2020. The construction of the 110 MW Atacama 1 plant is resumed. Construction stopped in 2016. The plant is expected to start operations in 2019. While Australia did not add any capacity during the year 2017, the government of South Australia signed a project generation agreement for the Aurora power plant, a 100 MW system that is scheduled to be completed by 2020. Spain remains the world leader in existing CSP capacity, with 2.3 GW in operation at the end of the year, followed by the United States with just over 1.7 GW. The CSP plants in Spain reached a record production of 5.35 TWh in 2017. 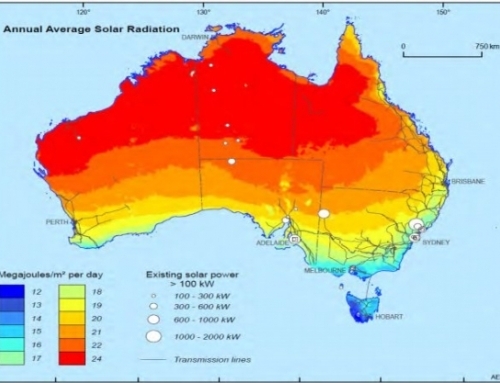 The forecasts for 2025 according to the study of Value Analysis of the Solar Thermal Power Plants in Spain prepared by the Solar Concentra Technology Platform are very satisfactory. The incorporation into the system of 7,000 megawatts of new thermal power with storage would allow to experience a saving of 430 million euros by 2025, with a contribution of less than 16% annual generation of combined cycles and with the pool of less than 5 cents the kilowatt / hour. The incorporation of this energy would serve to experience an 18% reduction in emissions of carbon dioxide (CO2) into the atmosphere, from 23 to 18.7 million tons.